Have you ever taken the time to think about how it would feel and look like to be homeless? And then volunteered to help kids and families who are homeless? This is what 669 students in the Inside Out Club did this October. 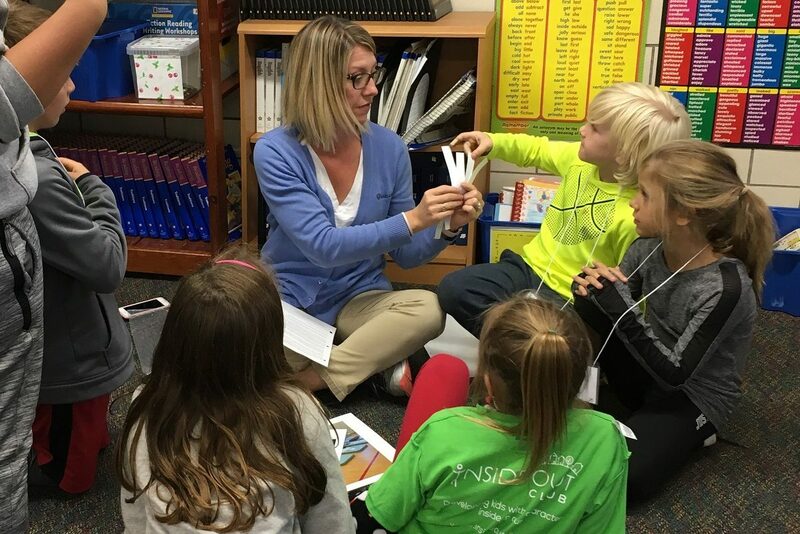 As part of our “Homelessness in Our Community” lesson students practiced empathy, acceptance and kindness. 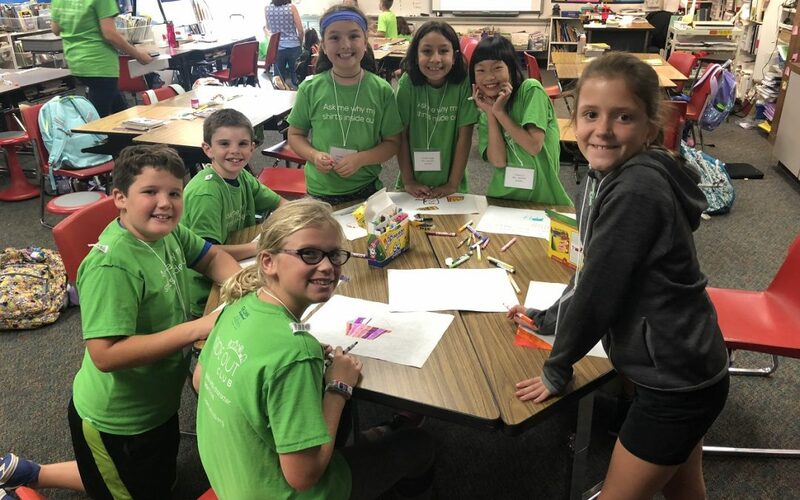 They learned about homelessness, DuPage Pads and how the organization fights homelessness, and discovered ways they can help. How would it feel to see a bright, colorful placemat that you weren’t expecting? How can we show people we do not know that we care about them? You are amazing! Be happy! You are great! 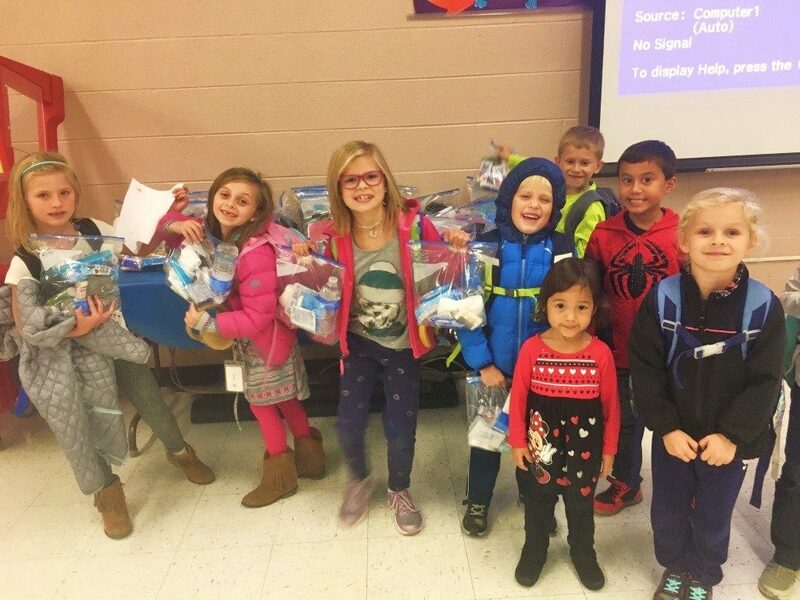 In addition to creating the placemats, the Inside Out Club at Kingsley Elementary school decided to make care bags to donate to a local DuPage Pads site. They filled each with water, snacks, tissues and more. If all you had was a backpack, what would you put in it? Would it be enough? Students answered these questions and talked about how love, family, and the people who care about them are more important than things. They learned about what volunteers do at an overnight shelter site. Then they played a game of charades; students took turns picking a piece of paper that had one of the volunteer jobs written on it and acting it out while the rest of the group guessed. They learned about how they can help others through service. At the end of the lesson we talked about how we can include others and show kindness to all. 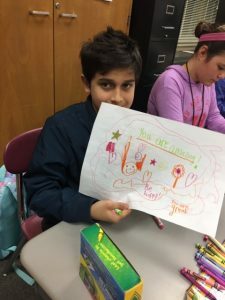 We asked the kids to talk about what they did when they got home; and if they have a little more time to volunteer, to create a foot care kit to deliver to DuPage Pads. Kids left empowered by the knowledge that they can and did make a difference in people’s lives!